Our lawn mowing, grounds maintenance, and landscape care services keep your yard in full health and looking great! Whether it is your home or a commercial property, we understand that it is a big investment and we want our customers to know that we are there for them to help them accomplish the dreams that they have for their property. It has never been easier to get a greener, more enjoyable lawn in the Tampa FL area, thanks to the lawn care experts at Land Graphics. From seeding & watering to lawn mowing, lawn aeration to clean up, and everything in between, you can rely on Land Graphics for all of your lawn maintenance needs in the Pinellas County area. We also provide groundskeeping services for commercial properties in the Pinellas county area. Lawn mowing and grounds maintenance for any size property is best left to professionals like Land Graphics. We are proud to offer the best quality and value in commercial landscaping and lawn care services to commercial properties in the Tampa area and throughout Pinellas County Florida. Whether you need to keep your business looking its best, or are a property manager for rentals and condominiums, you can trust the experts at Land Graphics to handle all of your lawn care and landscaping needs. 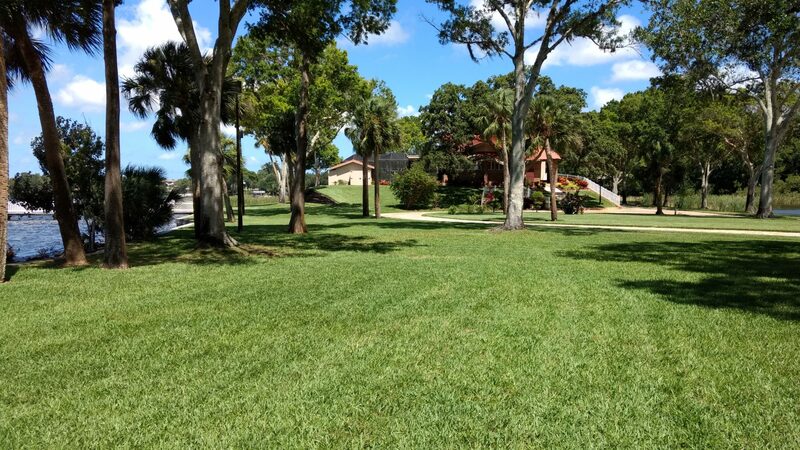 We have many years of experience in all phases of lawn maintenance and our customer focused approach makes us the best lawn care company in the Pinellas area! Land Graphics is committed to making your lawn a beautiful and valuable asset to your property. Someone to cut your grass!